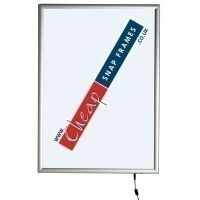 A4 Silver Snap Frame LED Lightbox - The environmentally friendly lightbox with cheap running costs. This A4 silver light box LED edge lit poster frames offer you very bright and even illumination. These light boxes are low voltage so the power consumption is a fraction of traditional fluorescent tube powered light boxes. 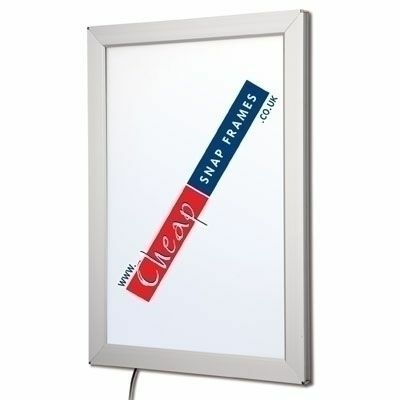 This is the environmental friendly light box which will save you money on running costs. 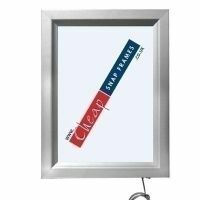 Typically you can save 60% of your energy costs compared to fluorescent technology and you have many more hours running from the LED light box. 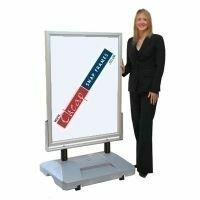 This lovely silver light box can run maintenance free for 10000 hours. Suitable for one A4 poster 210mm x 297mm. 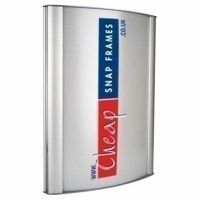 This lovely snap frame light box is very slimline at only 22mm deep. 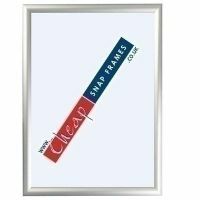 The poster is held in place using the snap open frame system making it really easy to change your posters. The edges simply open and then snap shut to hold your graphic firmly in place. 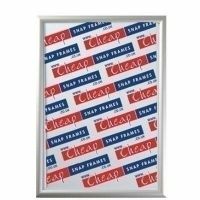 Supplied with a protective poster cover to keep your graphics looking nice. 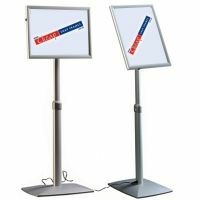 The illumination is bright and even so is sure to attact attention to your promotions.